Exquisite conditioning to nourish all skin types. Contains pure Rose Otto the queen of essential oils, together with Sandalwood, Geranium and Vitamin E.
Rose Otto – known as ‘the Queen’ of oils, is cultivated in the mountainous region of Bulgaria. It has to be picked just after the dew and distilled immediately to maximise the oil yield. Can be used for all skin types but is particularly good for mature, dry, hard or sensitive skin. It’s tonic and soothing quality helps inflammation and it has a constricting action on the capillaries which is an excellent treatment for broken thread veins. 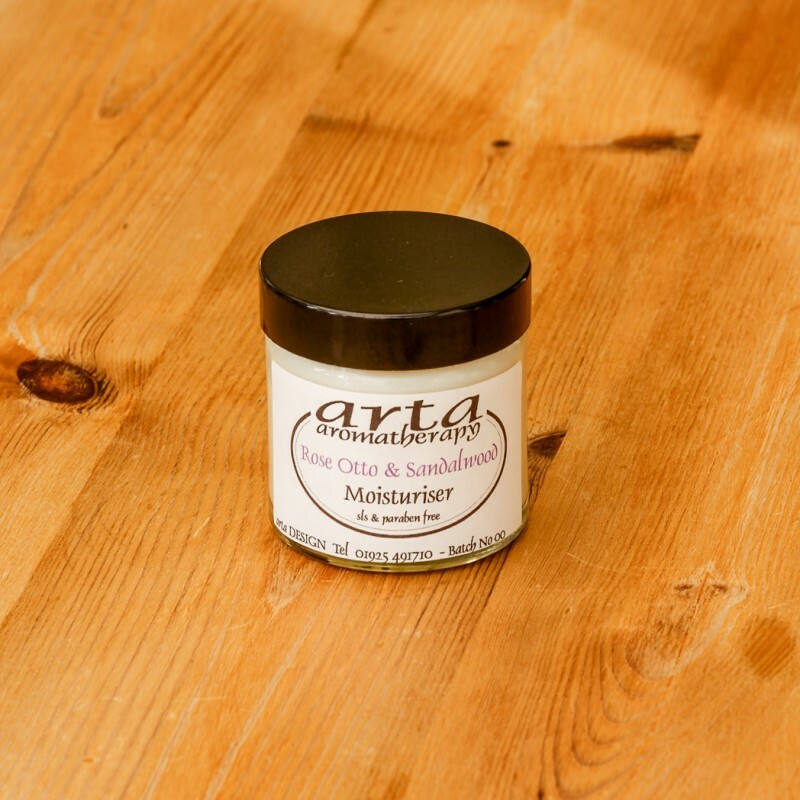 ARTA DESIGN's Skincare products are made fresh for your use and contain no artificial preservatives only the natural preserving qualities of essential oils, wheatgerm & citric acid so ensuring maximum therapeutic benefit. We recommend that you keep this product in a cool place out of direct sunlight and use within six months. Products manufactured and sold by ARTA DESIGN do not contain any animal ingredients, Sodium Lauryl Sulphate, Parabens or other harmful chemicals. Those with very sensitive skin should always undertake a skin patch test before using any products.